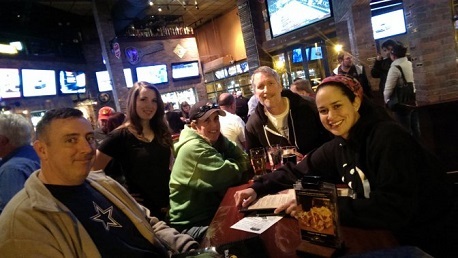 Another fantastic night for the PubGuys Trivia League! If you're not following your league progress, check out the rules and details here. Also, it's time for the 5th Annual PubGuys NCAA Tournament Challenge. Check out the details here, and shoot an email over to trivia@pubguys.com if you're interested in joining. Everyone that has ever participated has loved the game, so check it out and sign up today! In Game 1, the Mouseaholics dominated and walked away victorious. In honor of the musical bonus for the night, the Red Hot Chili Peppers, Blood Sugar PLC Magick finished in second place. For the Power Hour, it was all about Quiz in my Pants. They stormed all the way back and managed to finish in a tie with the Mouseaholics. In the tiebreaker, Quiz in my Pants was just a bit closer to the correct answer concerning the hot-headed former manager of the Atlanta Braves, Bobby Cox. Congratulations to all our winners! Now, for your Scavenger Hunt question. To keep with the theme of the Oscars, give me the title of the best picture winner who's leading actor was born in Greenwich Village in 1943 and also nominated for an Oscar.